Hair loss affects both men and women, often robbing victims of their self-confidence. If you’re losing hair, talk to Carmelo Plateroti, DO, FAOCD, FAAD, or one of the other hair loss experts at Plateroti Dermatology in Templeton, California. Platelet-rich plasma (PRP) and Neograft® hair restoration procedures can give you thicker hair without visible scars. Use online booking or call Plateroti Dermatology to learn more today. Platelet-rich plasma (PRP) treatment uses the platelets from your blood, which are filled with rejuvenating properties, to stimulate hair growth. Your Plateroti Dermatology care provider takes a small blood sample from you and then uses a centrifuge to concentrate the platelets within your plasma. Next, your Plateroti Dermatology care provider numbs your scalp and injects the PRP where you need it. PRP increases the blood supply going to your hair follicles, which wakes them up to help them start producing hair again. PRP can also thicken your hair shaft to give you overall healthier and stronger hair. PRP is often combined with Neograft® hair restoration at Plateroti Dermatology to give you optimal results. What is Neograft hair restoration? Neograft hair restoration is the only FDA-approved no-touch technique for follicular harvesting and reimplantation. In this treatment, your Plateroti Dermatology care provider removes small groups of hairs (one to four hairs at a time) and then relocates them to the area where your hair is thin. Your Plateroti Dermatology care provider administers local anesthesia before your treatment to ensure your comfort. You’ll be awake but comfortable for the entire procedure. There are no cuts, no sutures, and no unnatural-looking plugs to give away the fact that you’ve had a hair restoration procedure. Neograft hair restoration and PRP therapy are often combined at Plateroti Dermatology because the PRP helps your newly implanted follicles grow well-established with a healthy blood supply. When will I see results after Neograft hair restoration? After your Neograft hair restoration, the new hair follicles remain in place for about two or three weeks and then shed. This is a natural part of new hair growth. Once the new follicles shed, you’ll notice fresh stubble in the area after three to four months. How long does my new hair last? Everyone has a unique case. 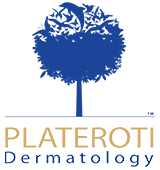 Your Plateroti Dermatology care provider discusses expectations and goals with you before you begin treatment. If you’re balding due to genetics or for other reasons, and that trend continues, you’ll need periodic maintenance sessions to maintain your hair long-term. Ready to renew your hair growth? Book your appointment at Plateroti Dermatology online or by phone now.